Comprehensive Support for CBRNE Detection Programs. Reduce Downtime. Empower Responders. Guarantee Readiness. Train with CBRNE Subject Matter Experts! 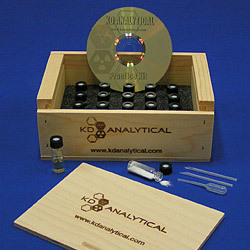 KD Analytical utilizes a hands-on approach to build an operators comfort level with both sample collection and data interpretation. By using constantly updated training materials, support guides, and simulated PAT Rounds in each training event, KD Analytical teaches directly to the end user’s civilian needs or military Con-OP. 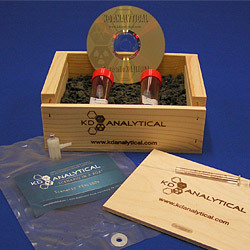 KD Analytical’s Scenario-in-a-Box™ come complete with both evaluator and operator instructions as well as with the samples needed to complete the self test. Training sets for major analytical instruments including HAPSITE®, HazMatID, IlluminatIR™, AHURA First Defender, and Shimadzu. KD Analytical Building Protection Services utilizes personnel with over two decades of experience in the Risk-Based Threat and Vulnerability Protection Assessment (TVPA), CBRNE Detection, Collective Protection (ColPro), CBR Agent Building Protection, Biosecurity, Mailroom Security and AT/FP related arenas for assessing and evaluating critical infrastructure, facilities and systems. Renting a CBRNE instrument allows you to analyze your samples faster and cheaper than relying on a fixed lab. We offer a selection of Gas Chromatograph, Gas Chomatograph/Mass Spectrometer, and Photo Ionization Detection devices, and can also provide training for these devices. Over 75 years combined experience training US military first responders. Join our mailing list and get news, tips, training and service announcements from the CBRNE support experts. One Call Support for all instruments and responders. Enhanced readiness & security for critical infrastructure. Instrument support solutions for environmental analysis.